Hey everyone! 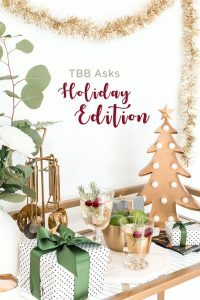 I missed a couple months of TBB Asks, but I’m back this first Monday of December to share the Holiday Edition! 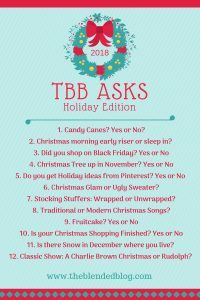 I love everything with the holidays, so this was a fun Q&A post to write. Cheers to the holidays and I hope y’all are sneaking in moments of peace, reflection and joy amongst all of the hecticness and the endless to do’s that come with this busy season. Let’s get started! Yes! But, I prefer them as a ‘stirrer’ in my hot cocoa than alone. 🙂 And, speaking of hot cocoa additions… I was at TJMaxx and they had these ‘snow cap’ marshmallow toppings for hot cocoa! Don’t you hate when you see things while you’re waiting to check out? Yup, those went in my cart and I can’t wait to try them out! They had crushed peppermint over marshmallow toppers as well, if that is more your jam. 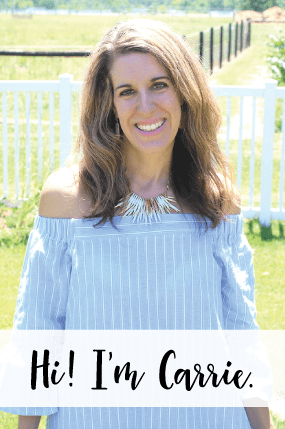 Yes, I never shop in stores, but I did shop online! I almost always shop at Old Navy and then maybe a few other stores. I’m not organized enough to have my shopping lists ready by Black Friday, so I am usually doing a lot of shopping after this day. It seems there are a lot of sales after Black Friday, but I do risk items being sold out. 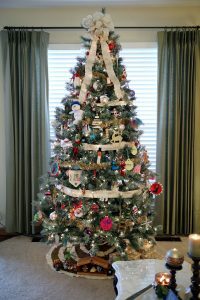 I need to get more organized, but my daughter’s birthday is right before Thanksgiving, so I’m always shopping and planning for that and it gets me behind on making my Christmas shopping lists. Ahwell! 🙂 The best sale I ever got on Black Friday was my Silhouette machine at an awesome price and I got a lot of vinyl and extra tools/freebies with it. I spend a lot of time updating my boards from season to season. 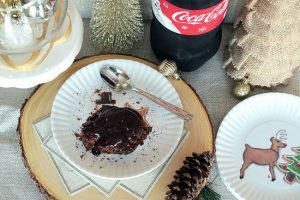 You’ll find my FAVORITE Slow Cooker Hot Fudge Sundae Cake above, I make this for our family every Christmas. I whip it up in the slower cooker that morning and it cooks all day and makes the kitchen smell lovely! The hot sundae sauce cooks on the bottom and you flip it over when serving, so the sauce is on top of the cake. The ingredients are really simple, you probably have all of them in your pantry right now! 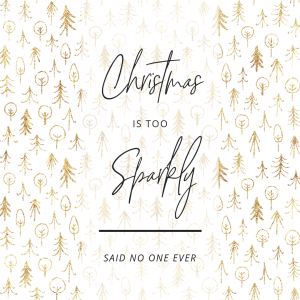 I’m all about Christmas Glam!! 🙂 BUT, if I was invited to an Ugly Sweater party, I’d have fun shopping for one! I’ve seen A LOT of awesome Ugly Sweater options at the stores this year! 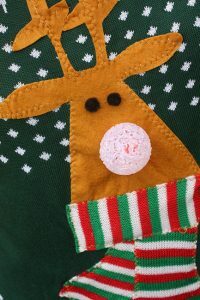 The photo above is from an Ugly Sweater I had a few years ago. Unfortunately, I put it in the washer with the battery pack to the light up nose still attached and it didn’t survive. Bummer. Wrapped! We always open our stocking stuffers on Christmas Eve. We play a dice game and take turns opening stocking stuffers. Everyone picks a number. If the dice lands on your number, you open a gift. We keep rolling it until everyone has opened all of their stocking stuffers. The kids love it! A mixture of both! 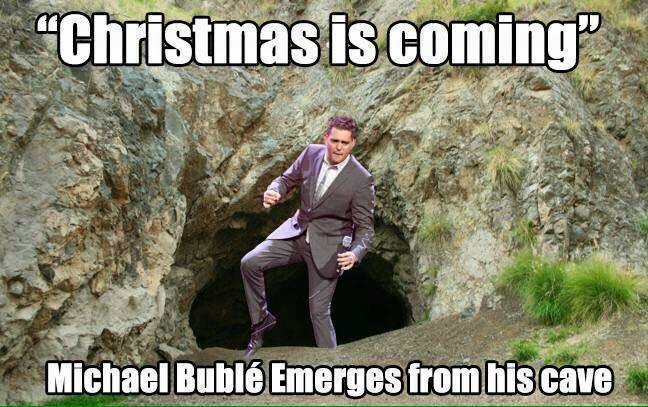 We have been talking about Michael Buble in our household lately and how he’s sort of the ‘Christmas music’ staple. Yes! 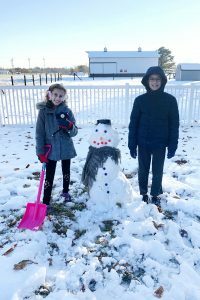 We got our first snowfall in November, the kids had a snow day the week before their week off for Thanksgiving break! Lucky kids!